If you’ve read some of my previous musical blogs you’ll know that I’m a bit of a Beethoven fan. Well, let’s not beat about the bush – it’s more like hero worship! 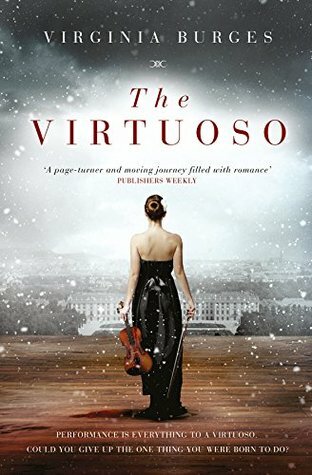 Beethoven featured quite a bit in my debut novel, The Virtuoso. I listened to his fifth symphony many, many times whilst writing it. I also did some research, but with a musical icon of such genius there is always more to learn and I’m delighted to continue my education into his life and music. Recently the BBC produced an outstanding documentary: The Secret of Beethoven’s Fifth Symphony. It was narrated by Ian Hislop, journalist, political satirist and editor of Private Eye, in collaboration with eminent conductor Sir John Eliot Gardiner and his Orchestre Revolutionnaire et Romantiq. Before I watched it I thought I already knew everything there was to know about this piece of music. The most famous opening four notes in musical history: da- da –da – dah. A motif of three triplet quavers in G followed by a dotted minim in E flat, followed by triplet quavers in F and an extended four beat note in D, repeated throughout the first movement and variations thereof in the other movements. It premiered on 22nd December 1808 at the Theater an der Wien and much to Beethoven’s chagrin it wasn’t an immediate success. I know how he feels! But audiences in Vienna weren’t ready for his powerful, uncompromising brand of music. Detail of the 1804-05 portrait of Beethoven by JW Maher, painted at the time Beethoven was writing his fifth symphony. Symphony No. 5 in C minor, Op. 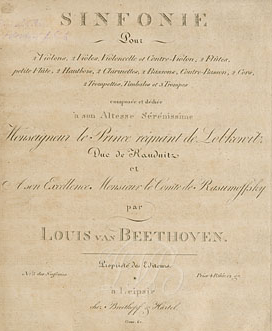 67 was composed between 1804 and 1808 when Beethoven was in his late thirties at his lodgings in the Pasqualati House, which also features in The Virtuoso. He had already written his heart rending Heiligenstadt Testament a couple of years earlier and was still composing despite his tragic descent into deafness. Experts believe he was already 60% deaf by the age of 31 and completely deaf by age 46 in 1816. The common theme agreed by scholars was that of ‘fate knocking at the door’, of Beethoven expressing his inner turmoil at his deafness and faltering love affairs. Beethoven could not escape his physical destiny, but by sheer force of will he was determined to fulfill his artistic destiny. Ludwig lived in turbulent times and possessed a turbulent temperament! 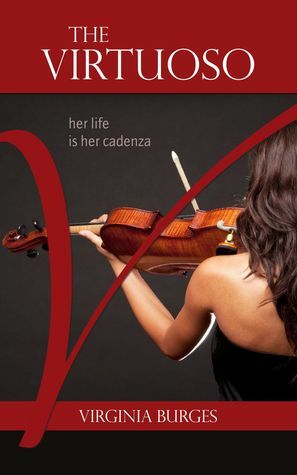 I used this context for part 1 of my novel as my protagonist Isabelle Bryant, a world famous violin virtuoso has to deal with the loss of her fingers and ensuing devastation. 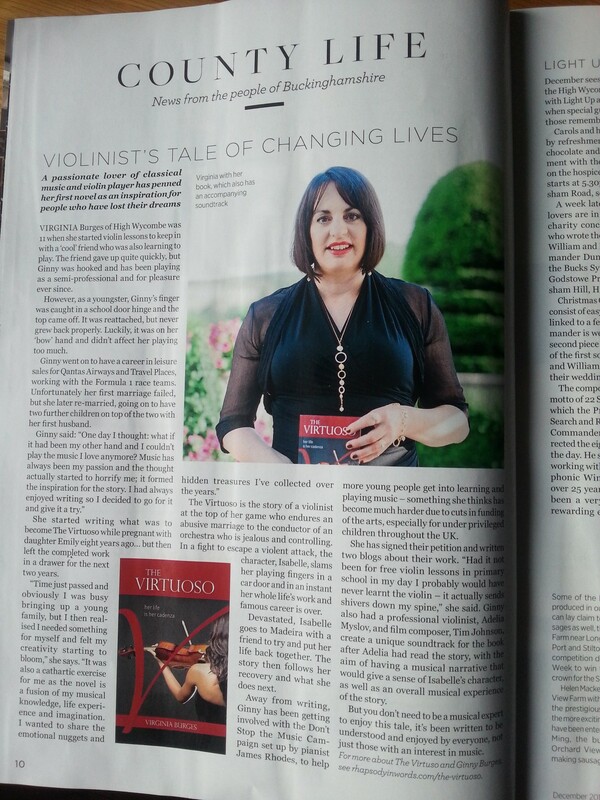 One publisher kindly reviewed it as ‘a modern day Beethoven story’. But Sir John Eliot Gardiner’s assertions that this symphony is about so much more really resonate with me. It makes perfect sense that one of the most revolutionary pieces of music of the 19th century (indeed of all-time), is at its heart about a revolution – the most shocking and radical of them all: the French Revolution. The French Revolution had taken place between 1789 and 1799 when the young Beethoven had been aligned to the ideas of liberté, égalité and fraternité. Freedom and the enlightenment ideals were themes that he drew from more obviously in his epic ninth Symphony for example, but perhaps, due to circumstances, more covertly in his fifth. I had not been aware that Beethoven had seriously considered moving to Paris, but as fate would have it he remained in Vienna. At this point in his career Beethoven was not beholden to the imperial court as earlier composers like Mozart and Haydn had been. He did, however rely on the patronage and support of his wealthy, aristocratic benefactors; the upper class nobility from the privileged echelons of society that ‘the people’ had rallied against in the French Revolution for living in the lap of luxury whilst the poor suffered and starved. This must have caused some inner conflict for Beethoven. He was dependent on an aristocratic system to produce his life’s work, yet he fervently believed in a meritocracy. The repercussions of the French Revolution and the execution of the Austrian princess Marie Antoinette reverberated throughout Europe. The subsequent invasion by French Troops of Austria and Vienna, Beethoven’s home and place of work, must have been tough to reconcile. Although I’m sure Beethoven was sickened like many writers, artists and scholars by the two year reign of Terror and blood bath that Robespierre unleashed, he was still loyal to the principles behind the revolution, if not the manner in which those principles came to fruition. Human nature being what it is, power crazed individuals got out of hand. Under such delicate political circumstances Beethoven could not afford to be outspoken about revolutionary ideals while living under the noses of the House of Habsburg, who were at war with France. His position would have been tenuous. Beethoven knew the only way to express his views and convictions was through his music. The effect is softer and more textured compared to a modern orchestra because they are playing on period instruments, and as John points out the sound is more pure and authentic. This is how Beethoven intended it to be heard. These older instruments are being played to the very edge of their capabilities. You would expect nothing less from Ludwig though. It is also performed at a quicker tempo to many other performances at 108 beats per minute, as directed specifically by Beethoven (who loved his metronome). At the beginning of his musical career Beethoven had been tutored at the court palace chapel in Bonn by composer and court organist Christian Gottlob Neefe, who imparted his musical knowledge and love of Bach as well as his radical political views to the impressionable teenage Ludwig. Beethoven studied keyboard, viola and organ. 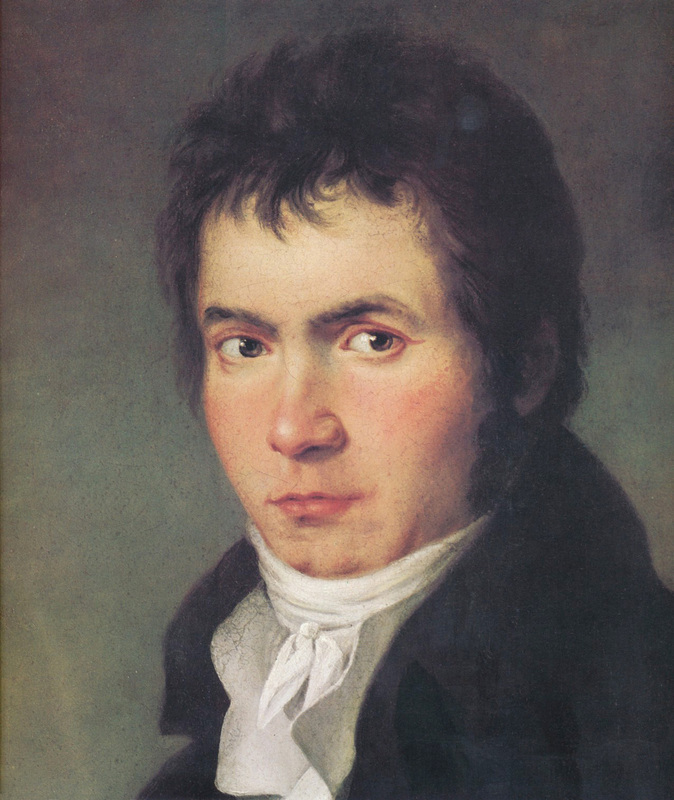 Beethoven was almost certainly influenced by the Italian born composer Luigi Cherubini, who was living in France and his patriotic Hymne du Pantheon. The German musicologist Arnold Schmitz (who had influenced conductor John Eliot Gardiner), argued that the opening lyrics of this rousing hymn: Nous jurons tour, le fer en main (we all swear, sword in hand), De mourir pour la Republique (to die for the Republic), et pours les droits du genre humain (and for the rights of man) are the inspiration for the unforgettable opening bars of Beethoven’s fifth symphony. Article in Gramophone magazine by John Eliot Gardiner on this subject. The belief that no human being had a divine right to rule over another human being was sweeping through Europe and the arts and literature were flourishing. The desire for a better, more just society can also be heard in the second movement of Beethoven’s fifth with its expansive and gentle melody. Its beauty and harmony perfectly fit this ethos of a united humanity – except Beethoven does not quite unite us musically by the end of this movement, subduing the chords before they can attain closure. John Eliot Gardiner sums up the second movement as a kind of prayer by Beethoven for the elevation and evolution of mankind. While studying at university in Bonn, Beethoven had been to see Friedrich Schiller’s play, The Robbers, which fuelled his rebellious attitude towards the upper class and economic inequality. Beethoven realised that art (in whatever form) could have a real impact on an audience and on the world. The popularity of Beethoven’s music for over 200 years proves this universal power of the arts. Great swathes of humanity still live under repression and terrifying violence. It’s still relevant. Another musical influence is from one of Beethoven’s earlier, more overtly political works, the lieder Der Freie Mann; a poem by Gottleib Konrad Pfeffel set to music in the key of C Major. If you listen carefully you can hear similarities between this music and the opening bars of the 4th movement of his fifth symphony (also in C Major), with its theme of freedom achieved. Yet more evidence to his state of mind around that time and the revolutionary origins of the fifth symphony. There are also elements of the rising triadic idea from Der Freie Mann used in the second movement of the fifth. 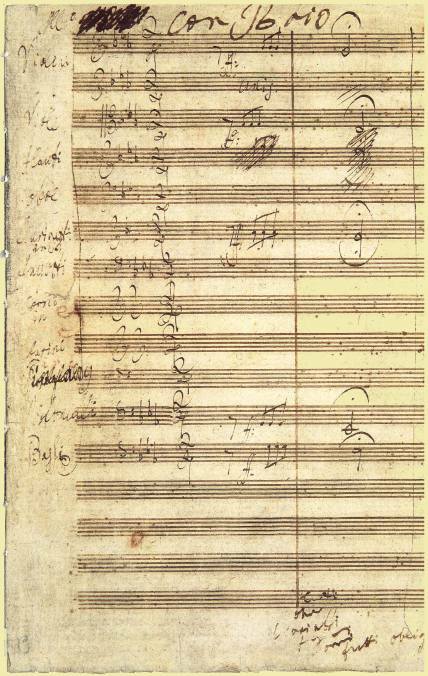 Lisle’s hymne Dithrambique was used by Beethoven as inspiration for the theme of ‘liberty’ in the fourth and final movement of his fifth symphony; Beethoven’s musical culmination of a political and personal utopia. I’m going to have to listen to it again, it kind of makes you feel invincible!